Does Recart integrate with Manychat? 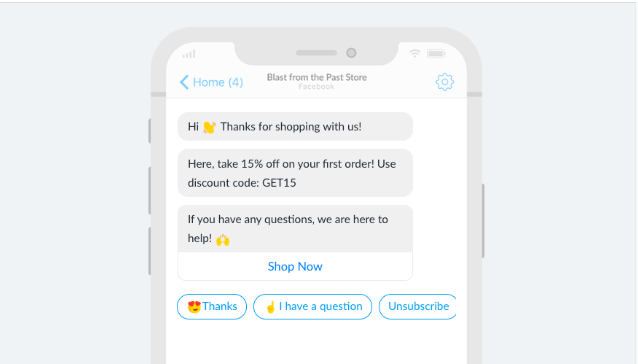 Recart works seamlessly with Manychat, Flow XO, Chatfuel, and other Messenger bots as well. Recart and Manychat works alongside each other seamlessly. Due to Facebook’s technical limitations, only a certain part of the subscribers will be included in both Messenger list, but they won’t interfere with each other in any case. If you’re using the Messenger Widget to collect subscribers, then due to Facebook privacy settings you’ll only have access to their profile info if they reply to the Automated Messenger Campaigns you sent them. After they do, they will become permanent Recart Messenger subscribers, and Manychat subscribers as well. To trigger as many responses as possible, we recommend using the Messenger Welcome Campaign with a couple of quick reply buttons. You can connect Recart to your Facebook page even if you already connected other bots, Recart won’t interfere with them. Recart works like this with most of the chatbot platforms out of the box: Chatfuel, Flow XO, MobileMonkey included.